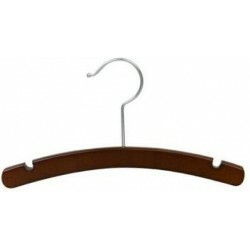 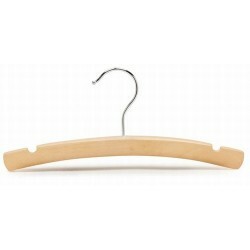 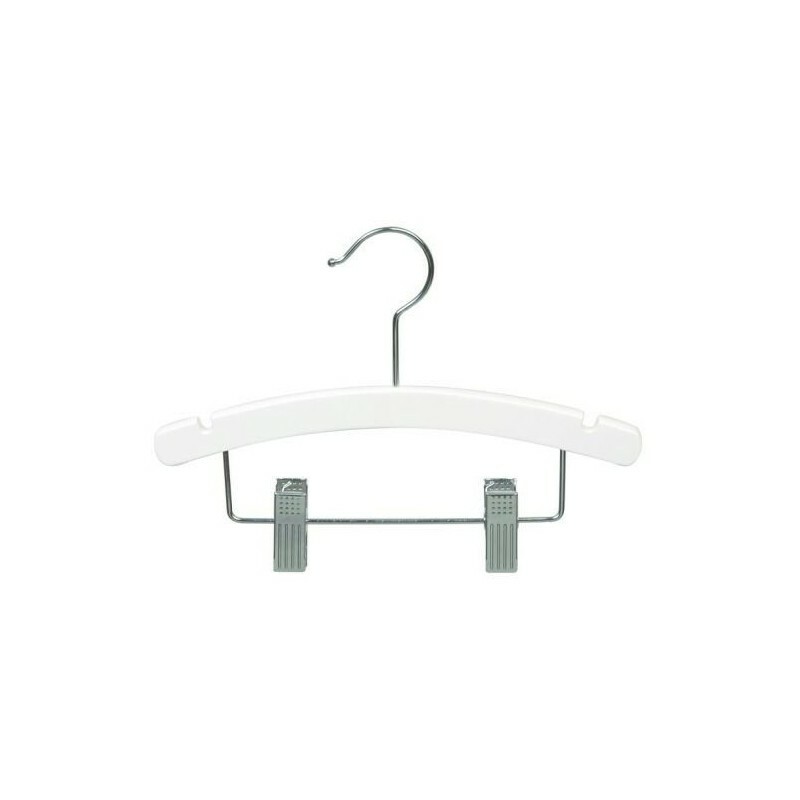 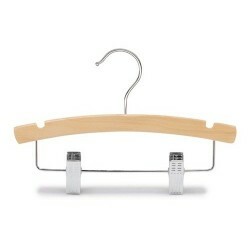 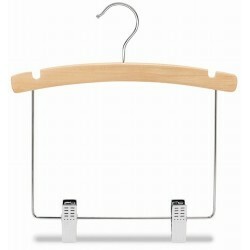 Our Little Kid's Wooden Combination Hangers have chrome hooks and a white satin lacquer finish on Beechwood. 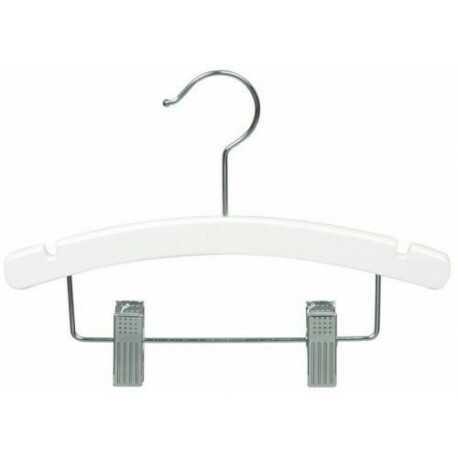 The hangers have a gentle curve to help preserve the shape of your little one's garments and notches near the end of the arms to hold hanging straps securely. 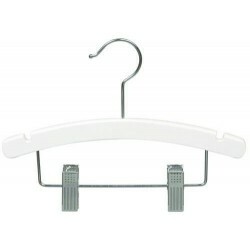 These beautiful 10" combination hangers accommodate sizes from newborn to two years comfortably.